Lush valleys, deep canyons, and jagged cliffs—the extraordinary landscape that decorates the island of Kauai is the reason behind its nickname, “The Garden Isle.” And, visitors to the oldest and northernmost island in the Hawaiian chain will see why Kauai is one of the most popular visitor destinations in the state. 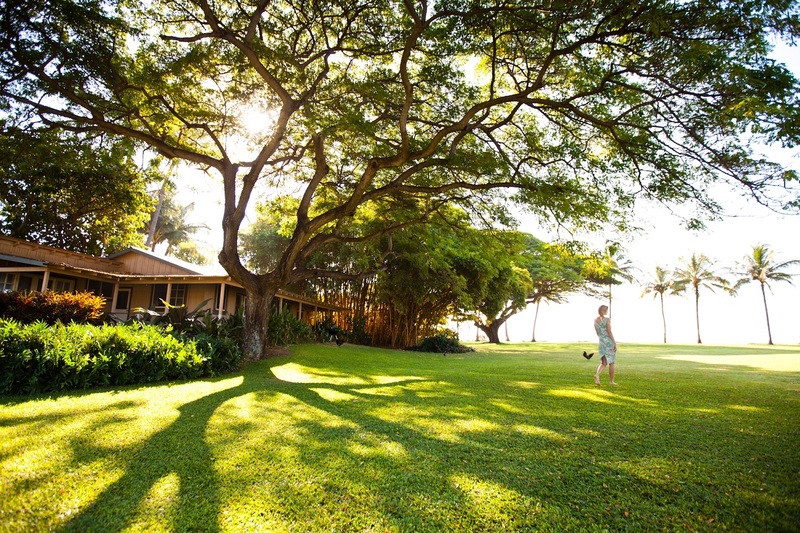 Check out this Kauai Vacation guide which should help jump start your trip to the Garden Isle. Kauai’s distant past is filled with legends, and the most well-known tells of the Menehune, a mythical race of small people talented in construction and engineering who created Kauai’s aqueducts and fishponds, often in a single night. They were believed to have lived in the woods and were shunned by Hawaiians. Today, you can still see their work at Hawaiian fishponds like Alekoko, known as Menehune Fishpond, near Lihue. In 1778, British explorer Captain James Cook landed in Kauai’s Waimea Bay for the first time. During this era of western discovery, King Kamehameha I was attempting to unify the Hawaiian Islands under his rule. Kauai and the small neighboring island of Niihau (part of Kauai county) were the only islands to deter his efforts. Eventually, Kauai’s King Kaumualii decided to peacefully unite with Kamehameha and join the rest of the Kingdom of Hawaii. Kauai, Hawaii’s fourth largest island, is separated into five main regions: Lihue, the East Side, (Coconut Coast), the North Shore, the South Shore, and the WEst Side. Occupying 552 square miles, Kauai is circular in shape with lush, mountainous regions in its center and beaches covering almost half its shoreline. Kauai’s age makes it one of the most scenic islands in Hawaii from the 3,000-foot elevations of Waimea Canyon to the waterfalls and deep gorges of 5,148-foot Mount Waialeale in the uninhabited center of Kauai, which you can only view by air. Kauai’s most striking geographic feature is the Napali Coast. Its 17-mile coastline took millions of years to form from wind and water erosion. The results are cliffs thousands of feet high, complete with green valleys, towering waterfalls and hidden sea caves. These breathtaking cliffs can only be seen from the sea, by air or by hiking the Kalalau Trail. You can also get an excellent view of the whole coast from Kee Beach and a valley view from the Kalalau Lookout beyond Kokee State Park. The Napali Coast: Located about 90 minutes north of Lihue. Kauai’s famous coastline is truly majestic, featuring emerald green pinnacles towering along the shoreline for 17-miles. Located on the North Shore of Kauai, the Napali Coast features panoramic views of the vast Pacific Ocean, velvet green cliffs and cascading waterfalls plummeting into deep, narrow valleys. Hike an 11-mile trail to get there or purchase a boat, kayaking, or air tour to get the best views of the area. Waimea Canyon: Located on the southwest side of Kauai in Waimea, Waimea Canyon, on Kauai’s West Side, is described as “The Grand Canyon of the Pacific.” Although not as big or as old as its Arizona cousin, you won’t encounter anything like this geological wonder in Hawaii. Stretching 14 miles long, one mile wide and more than 3,600 feet deep, the Waimea Canyon Lookout provides panoramic views of crested buttes, rugged crags and deep valley gorges. The grand inland vistas go on for miles. 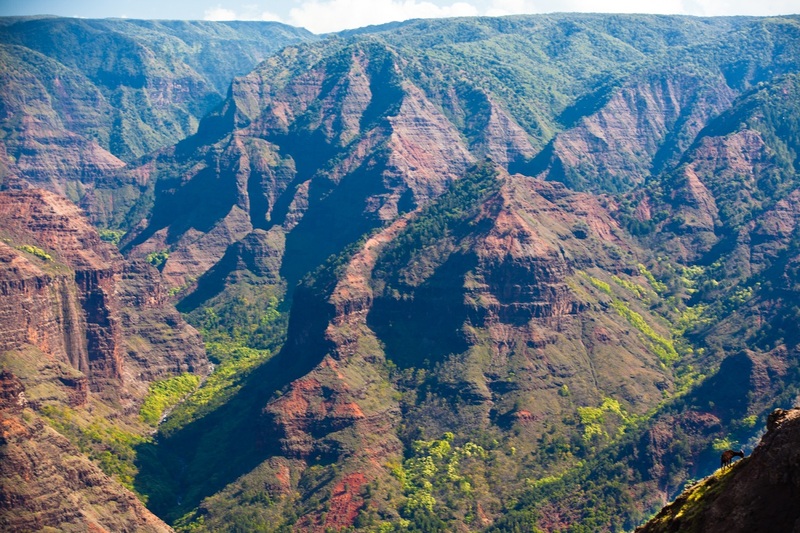 Kauai's Waimea Canyon is a natural wonder you won't want to miss. Wailua River: About 15 minutes north of Lihue, on Kauai’s East Side. The 20-mile long river, that once wove through the settings of seven different heiau (temples), flows from the 5,148-foot Mount Waialeale in the center of the island. The Wailua River features two popular and accessible waterfalls: Opaekaa Falls and Wailua Falls. Wailua Falls: North of Lihue, at the south end of the Wailua River. Wailua Falls, just north of Lihue, is a step off the beaten path. Located at the south end of the Wailua River, it cascades into two streams, dropping 80-feet below. Some even say the distance is more accurately described as 200 feet. Visitors to Kauai can also take a movie tour of Kauai to learn about the more than 60 feature films shot on location on Kauai. You can also try mountain tubing, during which participants float on Kauai’s rivers in a mountain tube. Of course, a variety of companies offer snorkeling, scuba diving, whale-watching, surfing, kayaking, and ziplining adventures, too! With fewer visitors and attractions, Kauai is a great place to relax. Fifty miles of white sand surround Kauai, enough to satisfy the beach-bum in all of us. Here’s a look at some of the most popular beaches on the island. Anini Beach Park: Features miles of white sandy beach. A quiet lagoon created by a reef is perfect for beginning snorkelers. Facilities are available but there are no lifeguards. Hanalei Bay Beach Park: Just east of Princeville in Hanalei Town. Hanalei Bay is a perfect, curved bay of incredible beauty known for the Hanalei Pier. Restrooms, a pavilion and lifeguards are available. Note that the beach is subject to strong currents so heed all warning signs. Kee Beach: Found at the end of Highway 560, the reefs here make for great shoreline snorkeling. Kee Beach is also ideal for sunbathing. This is where you’ll find the trailhead for the Napali Coast’s Kalalau Trail. Lifeguards on duty. Lumahai Beach: Among the most beautiful beaches on the island, with a wide sandy shoreline, this is where Mitzi Gaynor “washed that man right out of my hair” in the film“South Pacific.” Since there is no lifeguard and currents are strong, swimming is not recommended. Lydgate Beach Park: Protected from the open ocean by a lava rock wall, the snorkeling lagoon at Lydgate is a popular place for keiki (children). Restrooms, picnic grounds and lifeguards are available at this East Side beach. Kealia Beach: A half-mile stretch of golden beach hugging the curve of Highway 56, Kealia Beach has a long sand bar bottom which provides a nice surf break. Visitors are asked to swim near the north end, where a breakwater creates a protected area. Lifeguards on duty. Poipu Beach Park: With crystal clear waters and occasional Hawaiian monk seal appearances, Poipu Beach Park is one of Kauai’s most popular beaches. Poipu also has a natural wading pool for young swimmers. Lifeguards, picnic facilities, showers and pavilions make this a great beach for the family on the South Shore. KekahaBeach: This long, sandy beach is a great place for sunbathing. This is also a local surf spot, but be cautious when swimming because of strong currents. Ask the lifeguard on duty about conditions. Kauai’s a little “off the beaten path,” but that’s what makes this island so spectacular. With fewer resorts and tourists than Oahu, you can be as busy or as relaxed as you want to be. And, isn’t THAT what a vacation is all about?